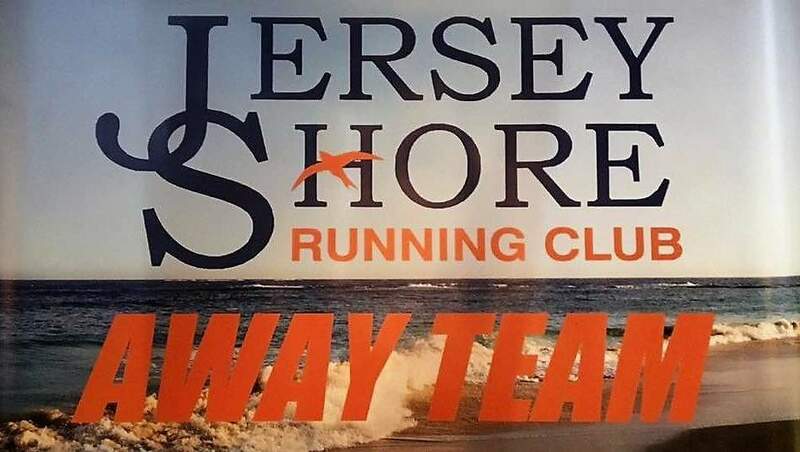 Presented by the Rumson Hash House Harriers in concordance with the Jersey Shore Running Club (JSRC), 315 stalwart racers competed in the 37th annual running of the Hashathon, a rugged, tough, challenging, six-mile trail race through the woods of Middlesex County’s Cheesequake State Park, in Old Bridge Township, on a calm, sunny, 50 degrees, perfect–racing–weather Sunday morning of November 13. 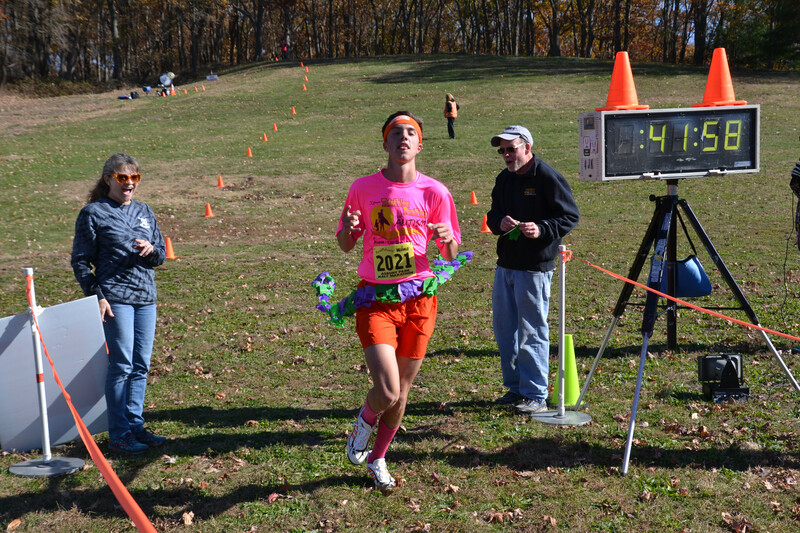 William Spector, 16, hailing from Englishtown, broke the finish-line tape, held by Race Directors Mark and Charlotte Griggs, of Wall, from the course that starts and finishes in the vicinity of the main pavilion of the Park, and is described in the event’s circular as a “run through winding wooded trails, steep gullies, foot bridges, small streams, fallen trees, varmints, dramatic cedar forest & beautiful wetlands,” at a racing time of 41:58 (41 minutes and fifty eight seconds), about thirty seconds ahead of the second finisher. 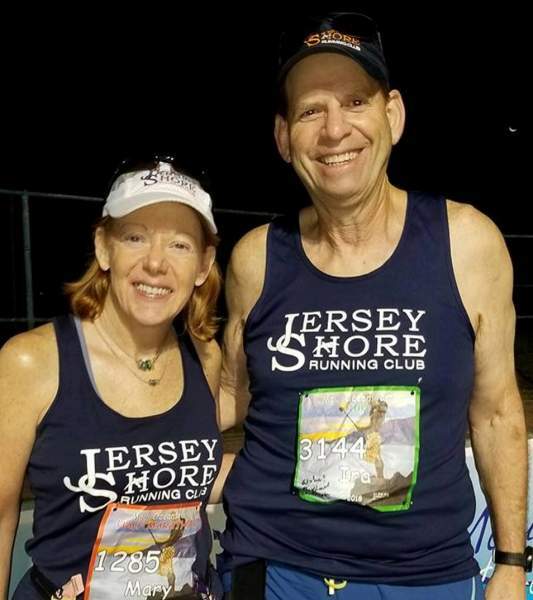 The digital racing clock that displayed that time was attended to and provided by John Kuhi, veteran runner and coach in the Shore area and long-time member of the Shore Athletic Club, with help from Jack Cheer, active member of JSRC. 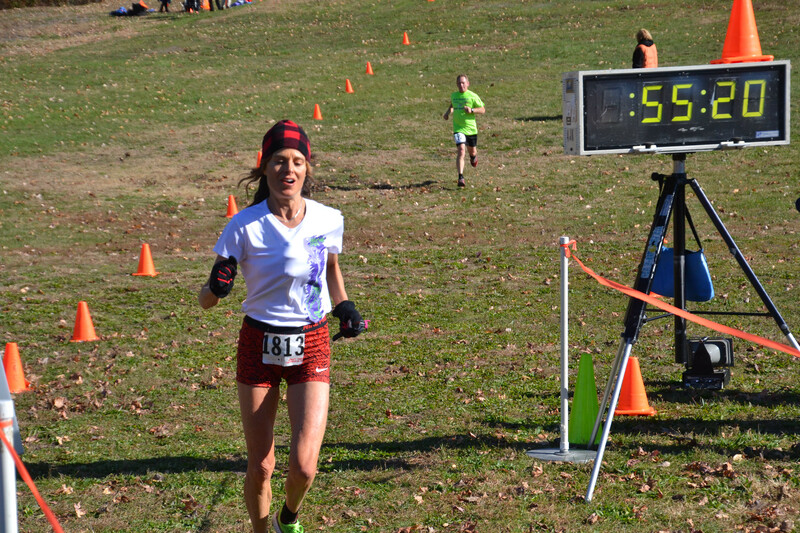 Erin James, 24, of Somerset, was female champion, crossing first in 47:22 (an impressive 7th place overall). 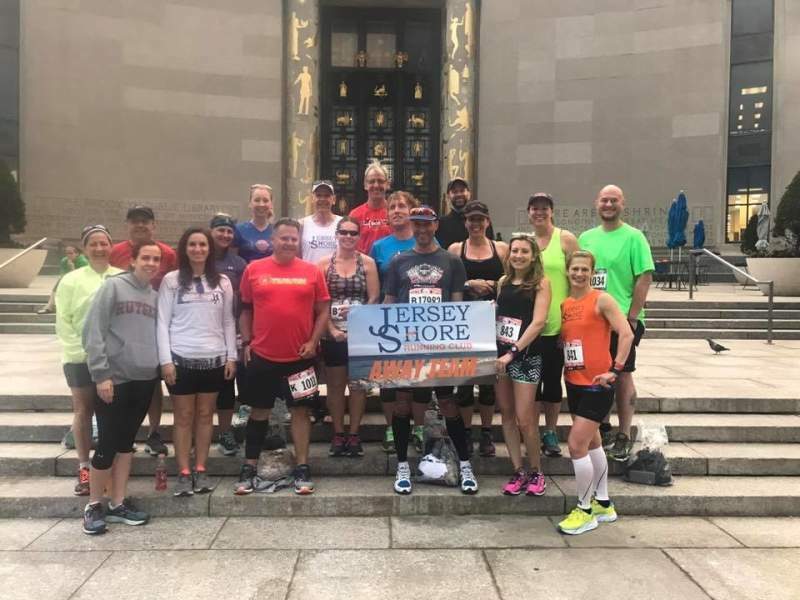 Rounding out the top-three were Richie Szeliga, 24, Hoboken, at 42:30 and William Hulbert, 31, of Somerset, 43:21on the men’s side, with Kellee (Hand) McEwen, 26, of Howell, 50:56 and Lynn Nelson, 47, of Matawan, 51: 54 for the women. 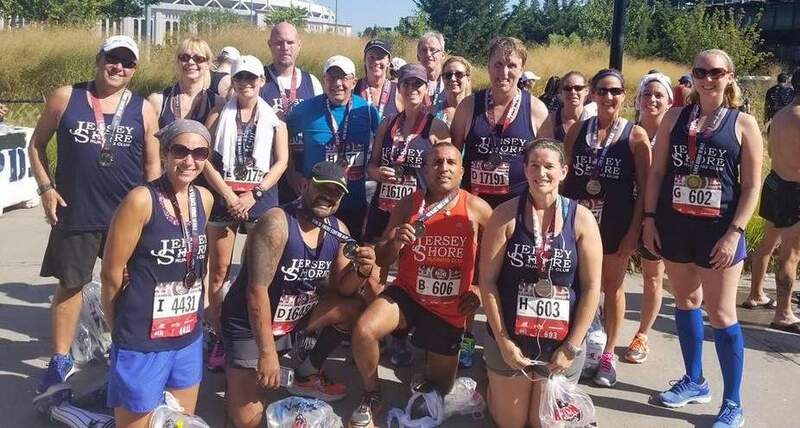 It should be noted that Szeliga, McEwen and Nelson have each been past top-three Hashathon-ers. 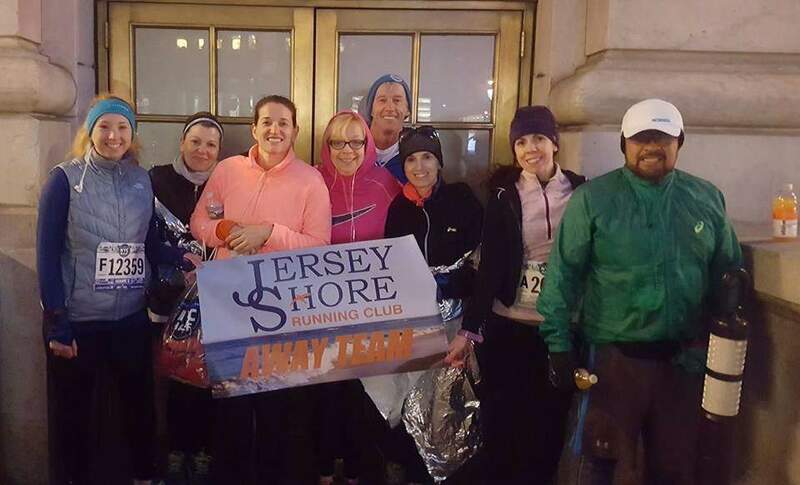 Spector’s win was his first Hashathon crown. 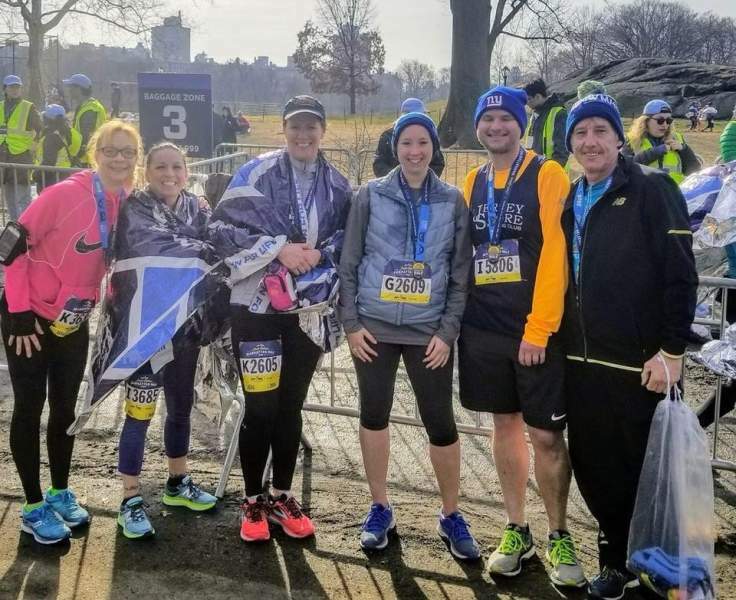 But the champion, a High School Junior, who runs cross country for the Manalapan Braves, is familiar with the Hashathon, having first run the event, at age 12, even winning his age group at the time. 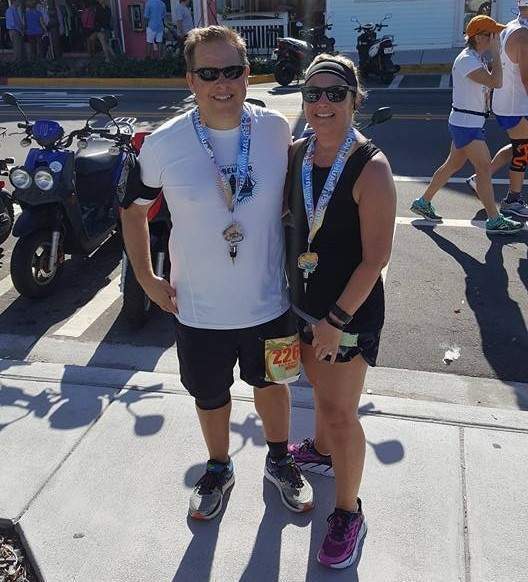 Ship Bottom’s Lauren Rhatigan, 54, finished in 55:19 to win her age-division for the women, seven minutes ahead of her next division-peer. 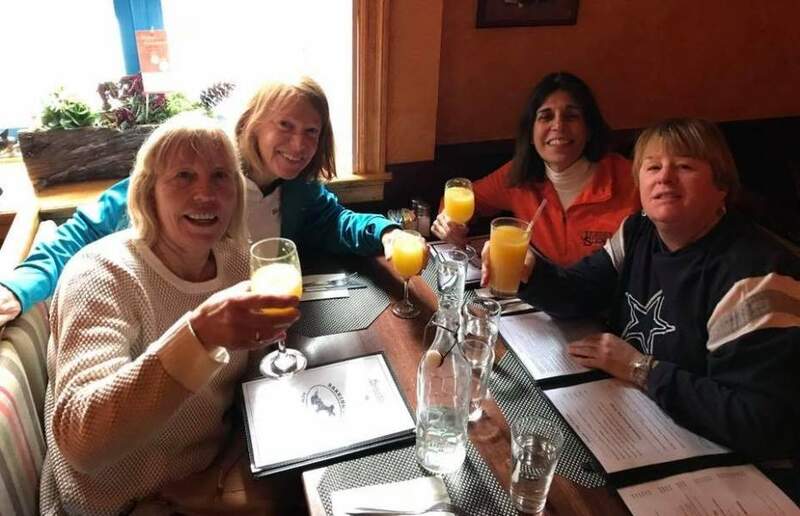 “It’s like apples and oranges,” per long-time Hashathoner Rhatigan, in comparing a trail and road race. 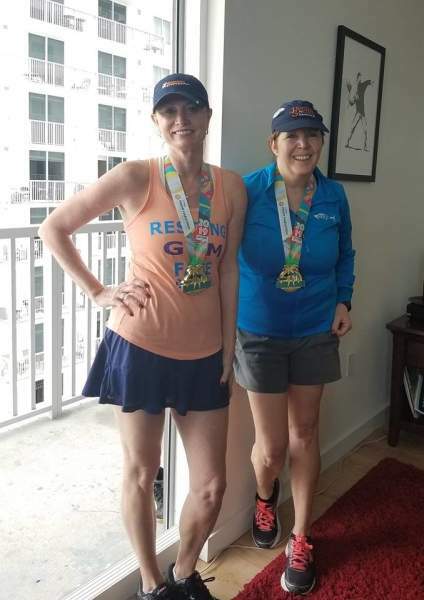 “Trail race, no doubt about it,” she has said, when asked which she preferred. 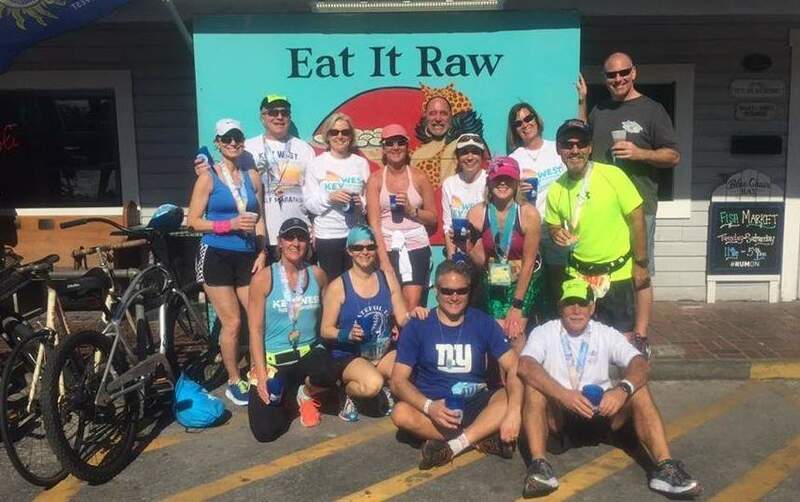 Rhatigan (six times) has been a past Hashathon champion. 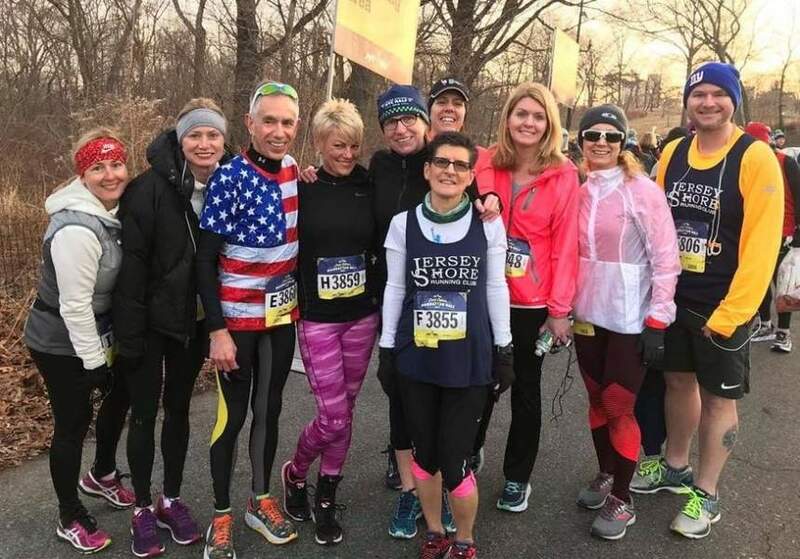 Seventy-five-year-old David Gross of Marlboro, a past-year septuagenarian division winner, who finished in 1:24:22, earning second in that division, loves this race and has explained why: “It’s a real challenge – it’s not your ordinary, everyday, on-the-road type of race – there are more things out there than there are fingers on your hands and toes on your feet: roots, rocks, vermin, boardwalks, collapsing boards, mud, briar bushes, many, many, many leaves, slow runners who won’t give way but in comparison to a road race, it’s the greatest thing. 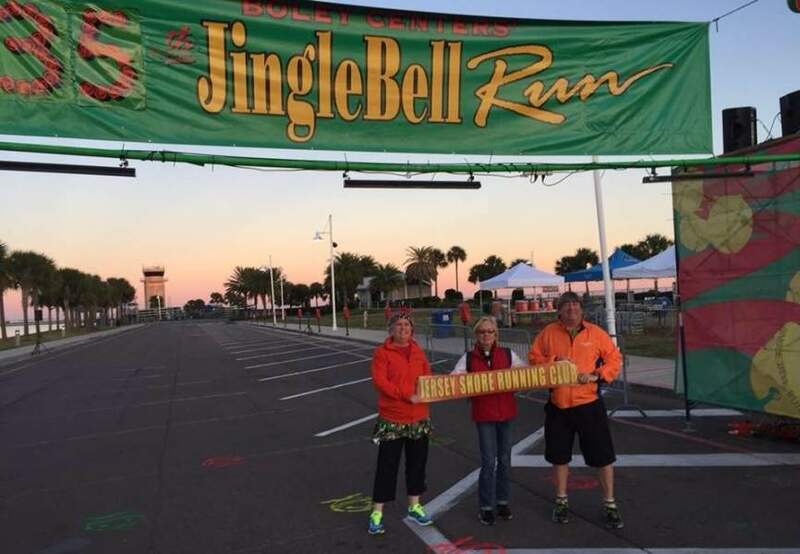 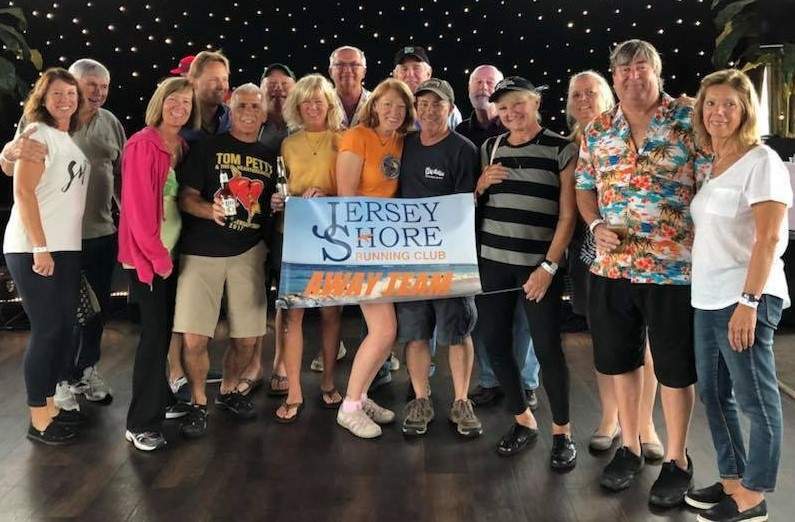 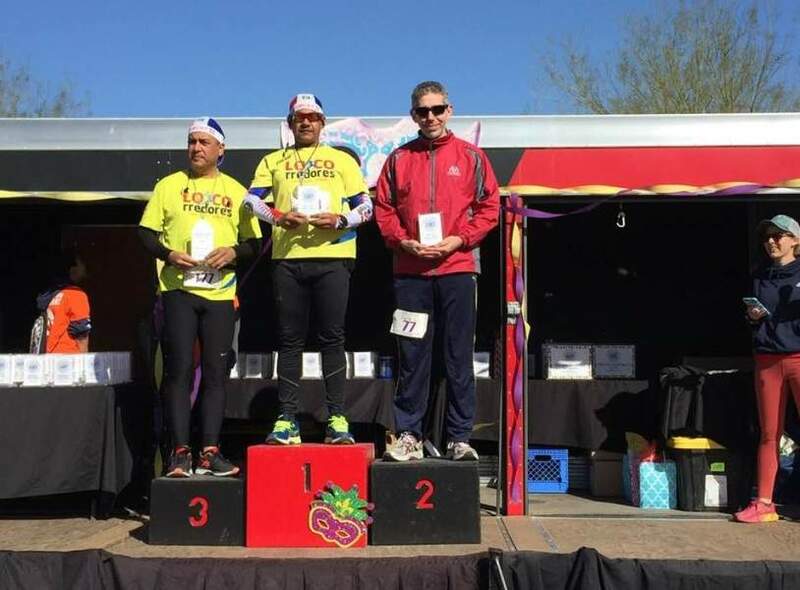 Thanks to Mark Griggs (race director) for putting this on.” There were three septuagenarians participating in this year’s event, including 76-year-old James Dykstra, who was presented, with typical Hashathon humor, the “Oldest Geezer” award. 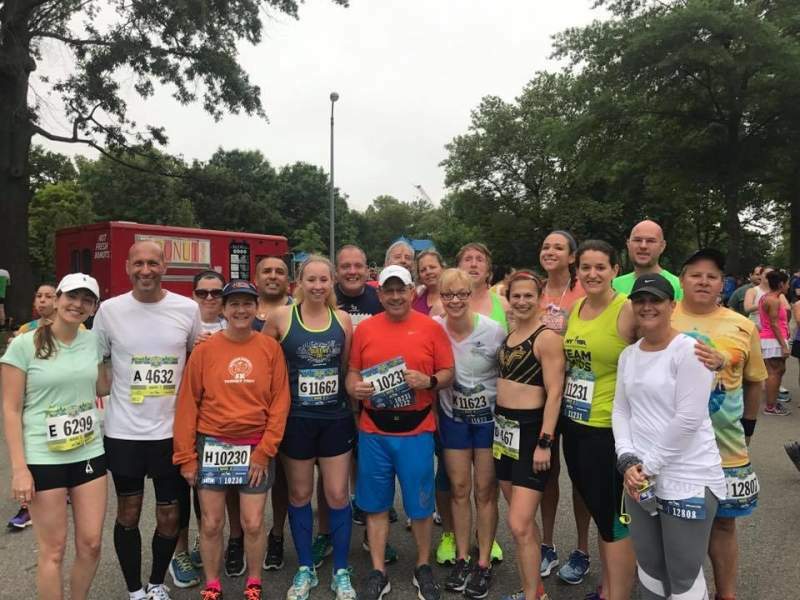 The water spots where racers get a drink were strategically placed at the 1 1/4-mile area going out and also at the 4 ½-mile area coming back. 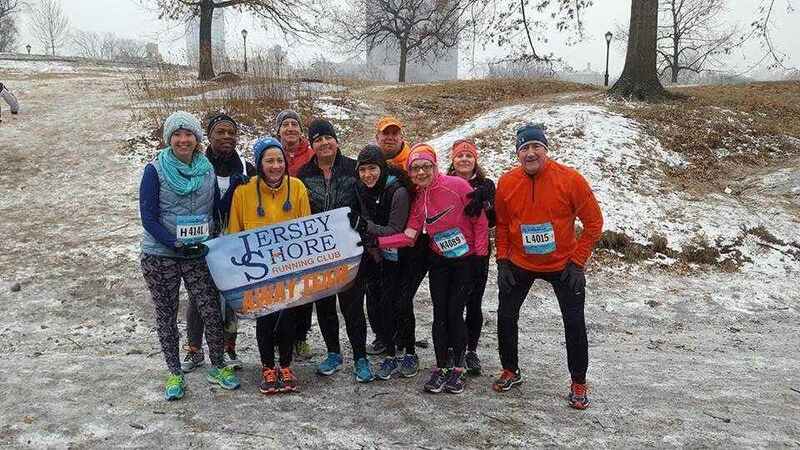 It was serviced by several local high school students and some of the twenty or so on-course members of the host clubs who also served as course marshals, including the “sweeps” who gathered markers and things but whose main task is to see that all racers are accounted for. 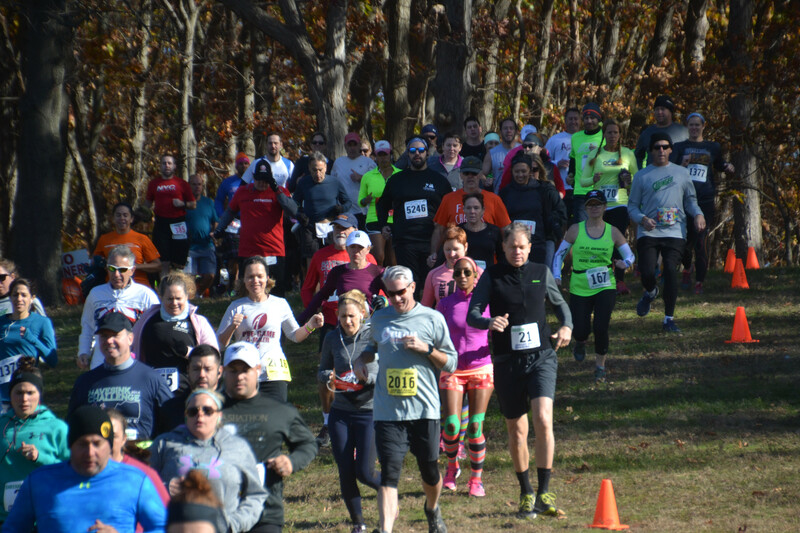 The event includes a Half-Mile (almost) Fun Run, held before the main race, on the loop around a nearby field which included passing a playground at which a few of the younger contestants though it more important to stop then continue the run. 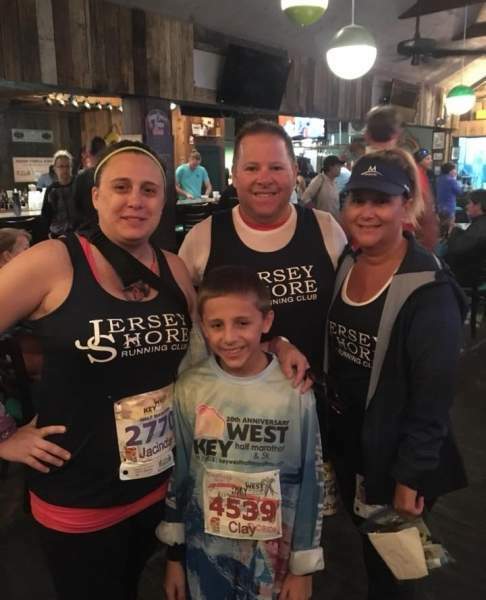 Tommy O’Connor, 9, of South Plainfield, was first finisher in 1:45 with Grace Toscano, 11, of Brick second overall, just two seconds back, and first female at 1:47; all participants received a medal. 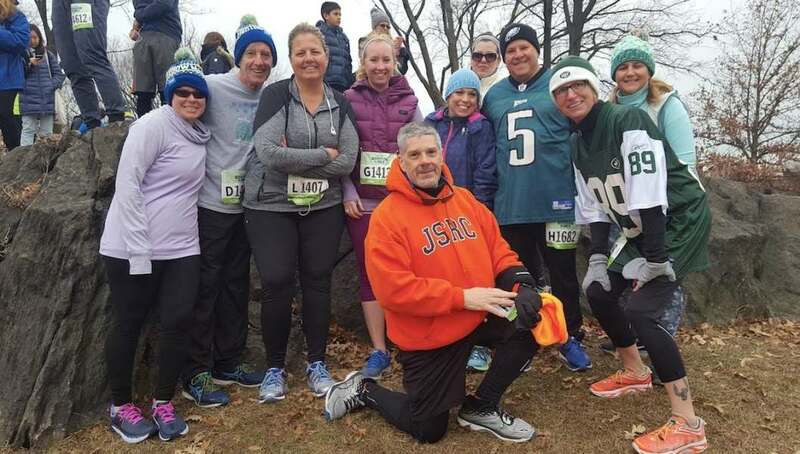 Dave DeMonico, Ocean, on the trumpet, Joe Freeman, Eatontown, on guitar, and Chick Albers, Hazlet, on the drum provided music out on the course for their running friends. 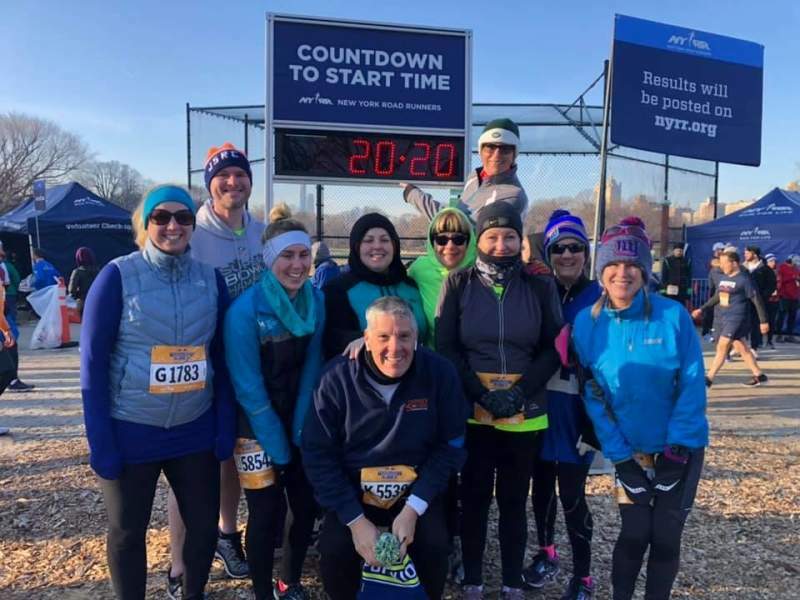 DeMonico also played our National Anthem at the into-the-woods starting area and prior to that director Mark Griggs thanked all racers for coming and cautioned them to be ever alert of their footing during the race. 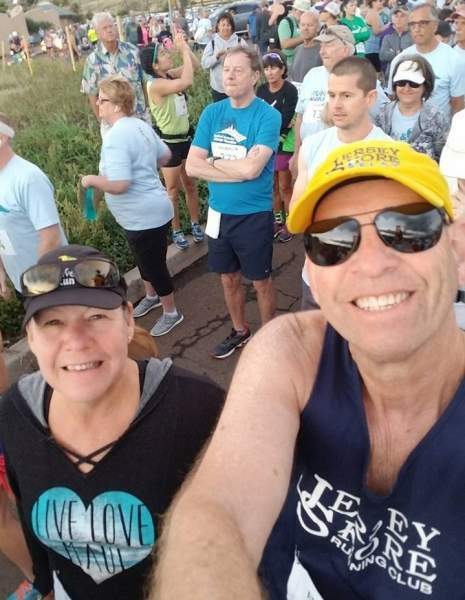 A moment of silence was held at race start to remember Bob van Clef, a frequent Hashathon-er and JSRC member who passed away suddenly just the weekend before. 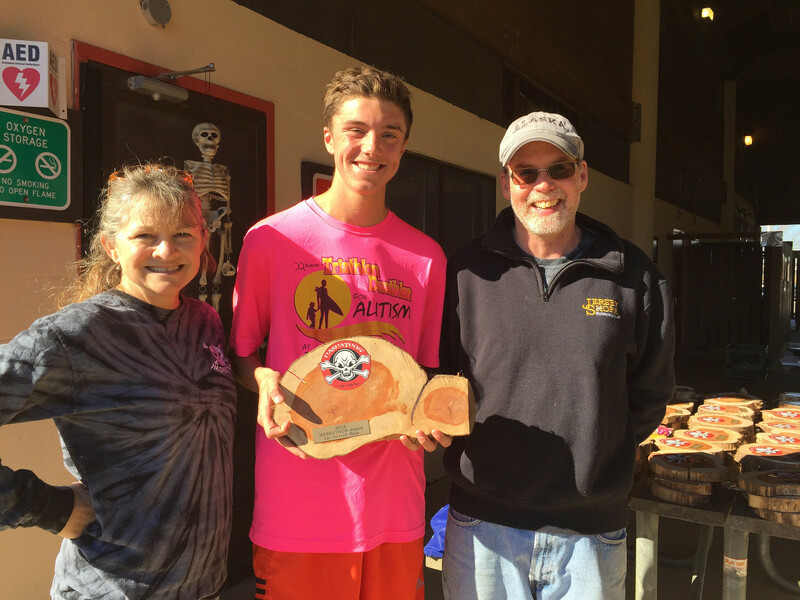 The aforementioned winners and age-group leaders, along with special category recipients, were given custom crafted wooden awards at the Pavilion by race director Mark Griggs and other members of the race committee. 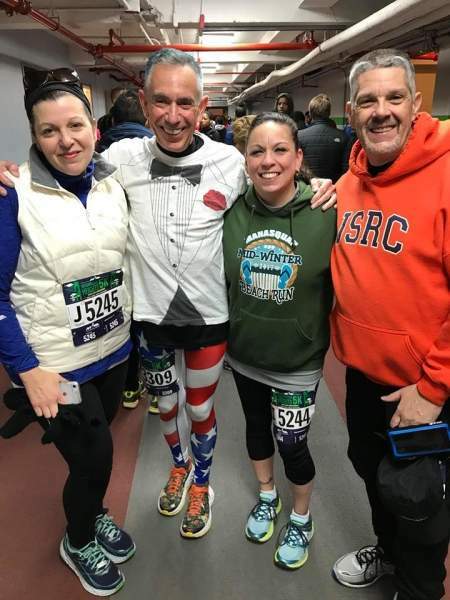 Special recognition awards included the First Pre-Entrant, Jennifer Morin; the furthest traveled who was Tomasz Wawrzyniak, of Perzow, Poland; and the “Roadkill” award, presented to JSRC President Mike Procopio, who took quite a “disfiguring tumble” to the face during the first mile. 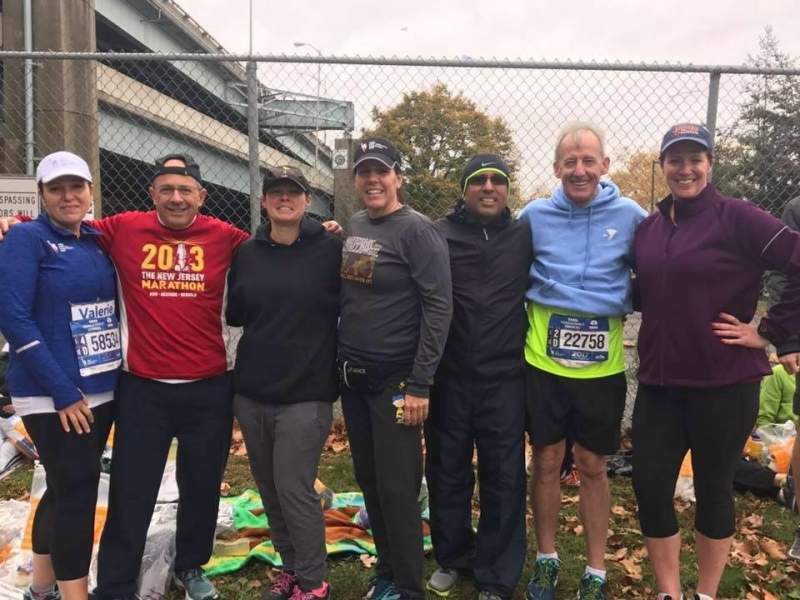 Cheesequake State Park offered beautiful fall colors and a challenging course for the 37th running of the Hashathon six-mile trail race. 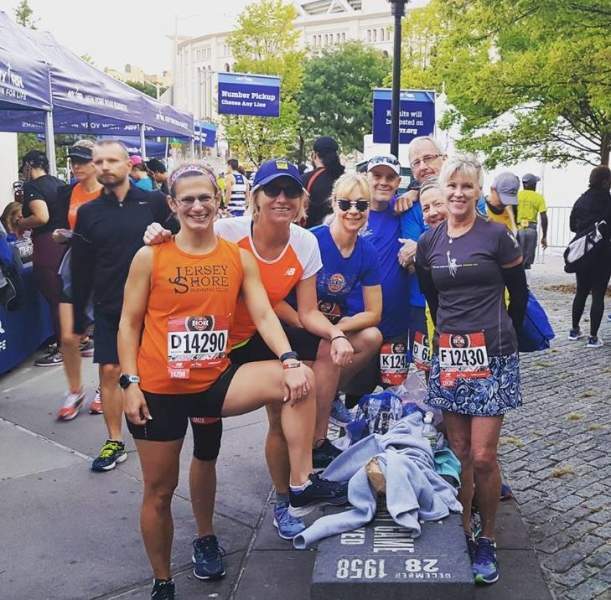 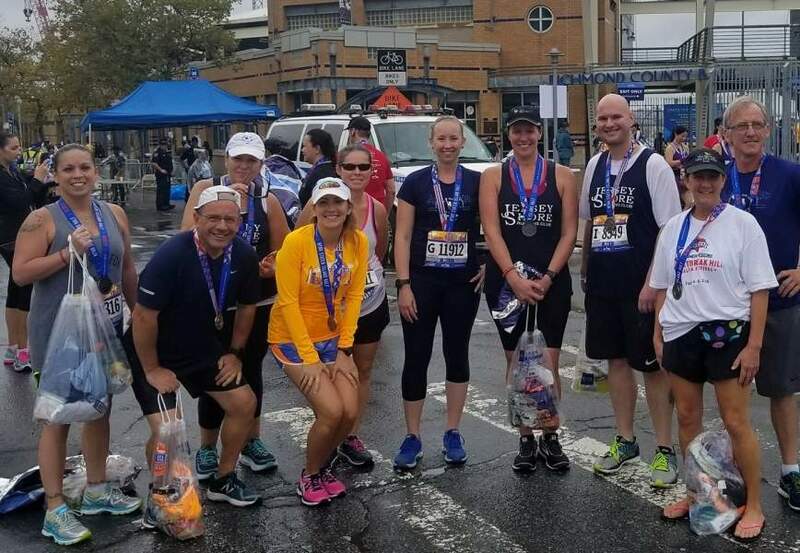 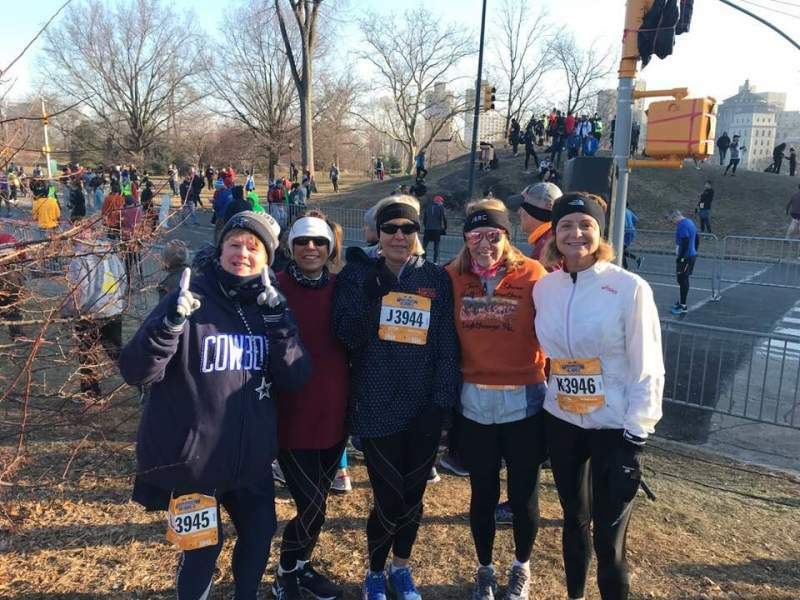 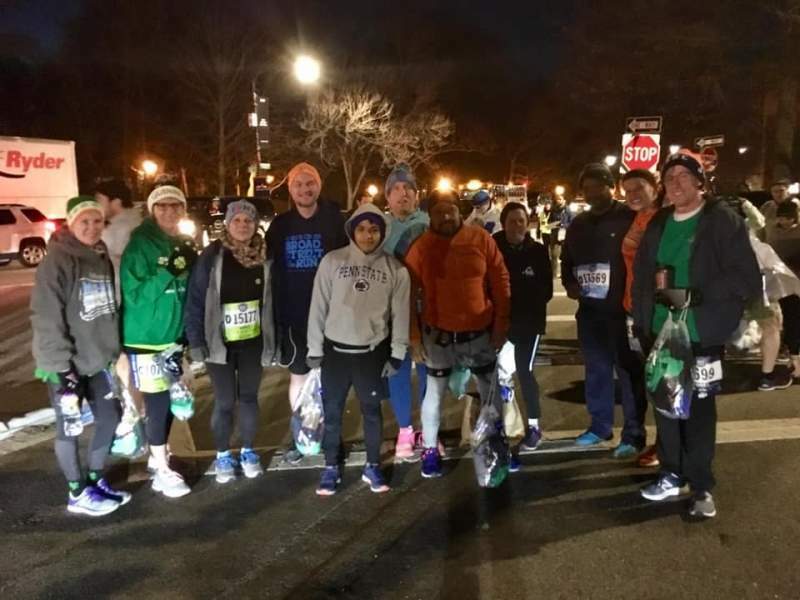 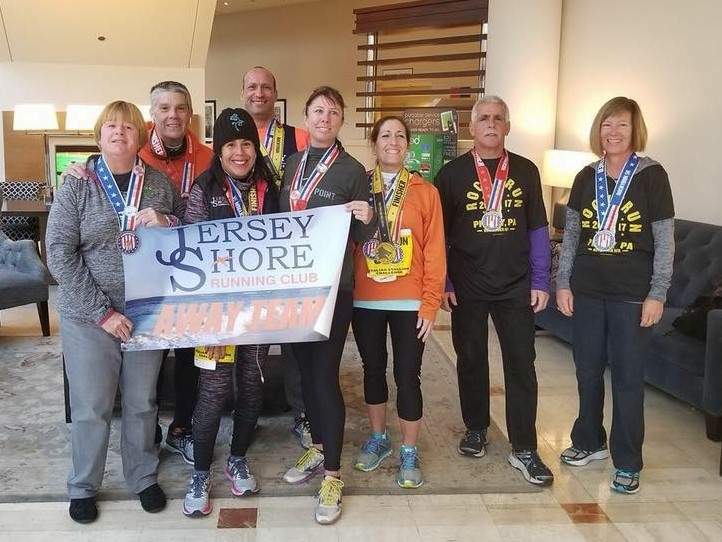 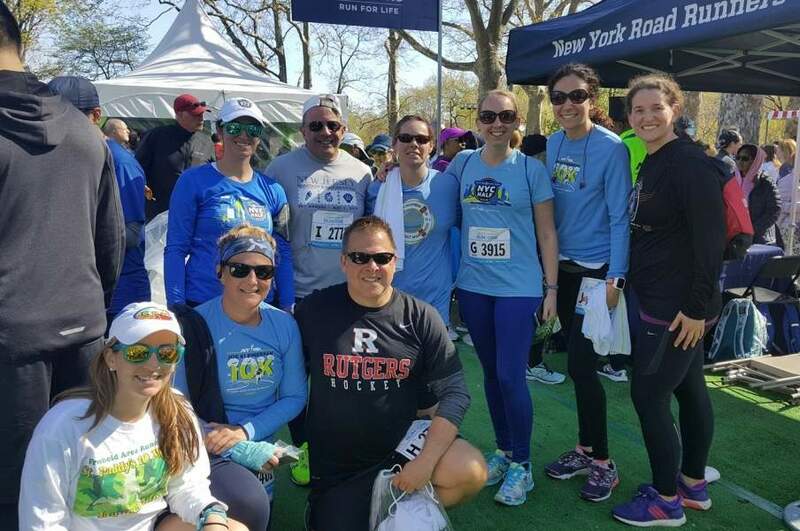 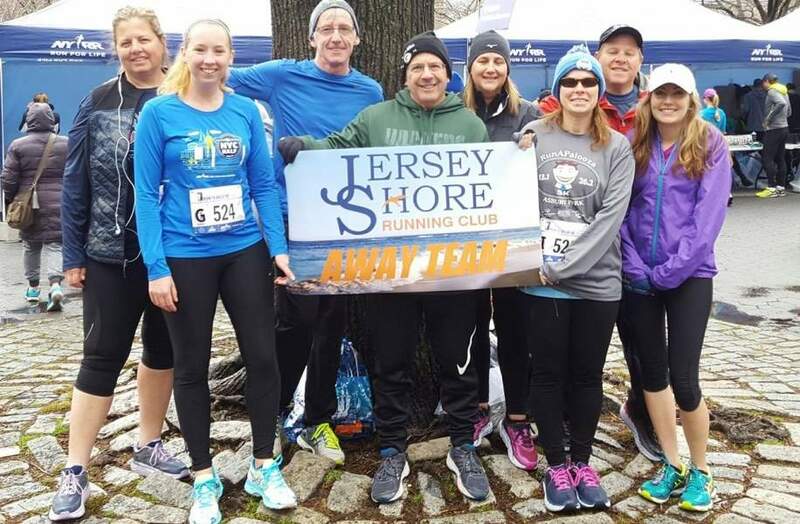 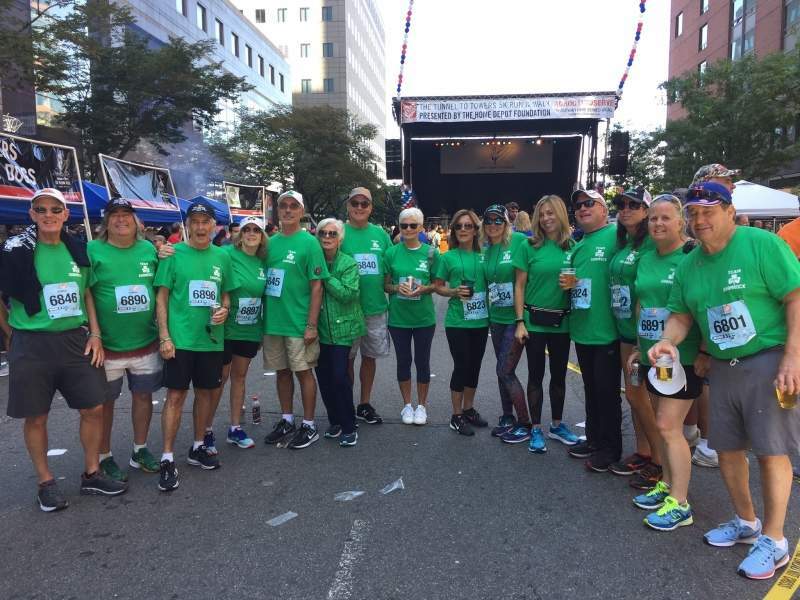 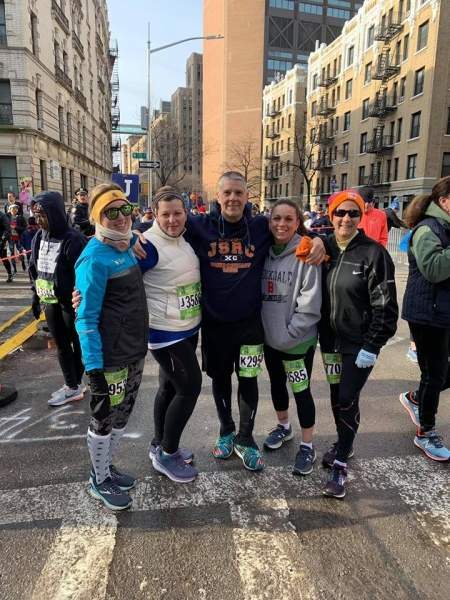 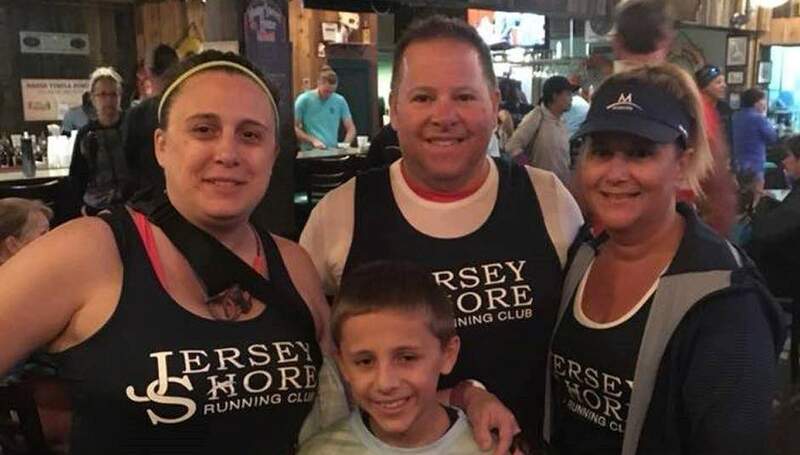 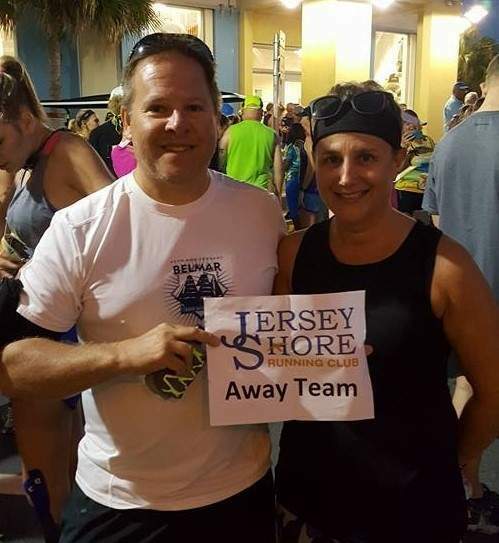 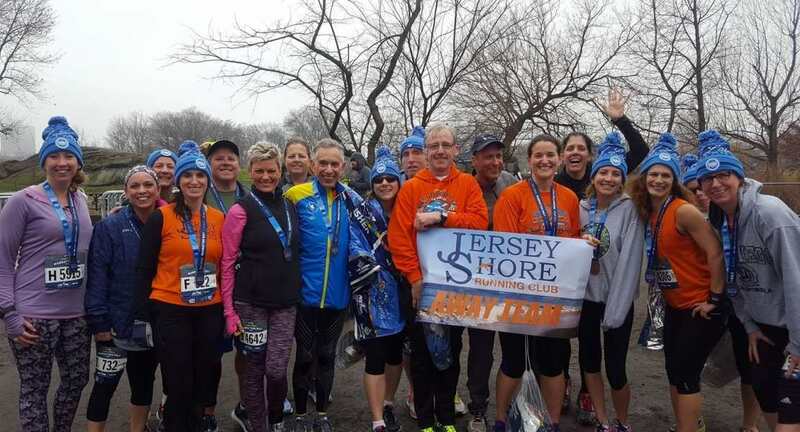 “I want to thank the enthusiastic volunteers from the Jersey Shore Running Club, especially Phil and Penny Hinck, Jack & Diane Cheer, Mary O'Brien, Al Lesiak, Mike Procopio and John & Laura Moetz, Jon Brodsky, Dana Jacoby, the entire water stop crew, Liz Ireland, Tina Duda, Jim Neary, Sue Ardito and Steve Apostolacus, Barbara Hay, Jim Fitzmaurice, Jim Aquino, Michelle Mendes, Jim Buckler, Rick Valentine, CJ & Kim Rand, Marc Germanski, Scott and Kathy Levenson, Greg Duffy, John Mossa, Dave DeMonico, Russ Stallone, Bob Both, John Coulter, John Donoghue, Ira and Adrian Wiss, Terry and Peggy McKean, Bill Koch, Gio "Dr. T-Shirt" and the Rumson Hash House Harriers. 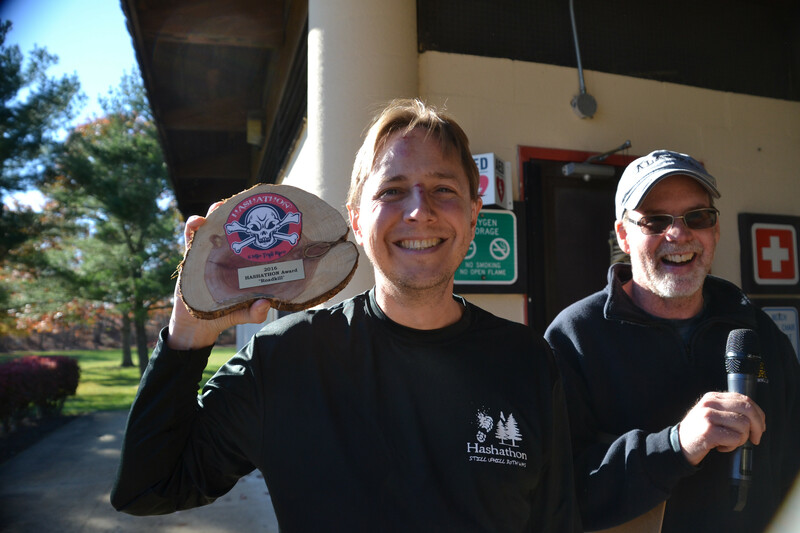 We couldn't run this event without the assistance of our course marshals, trail sweeps, and the large number of passionate trail volunteers. 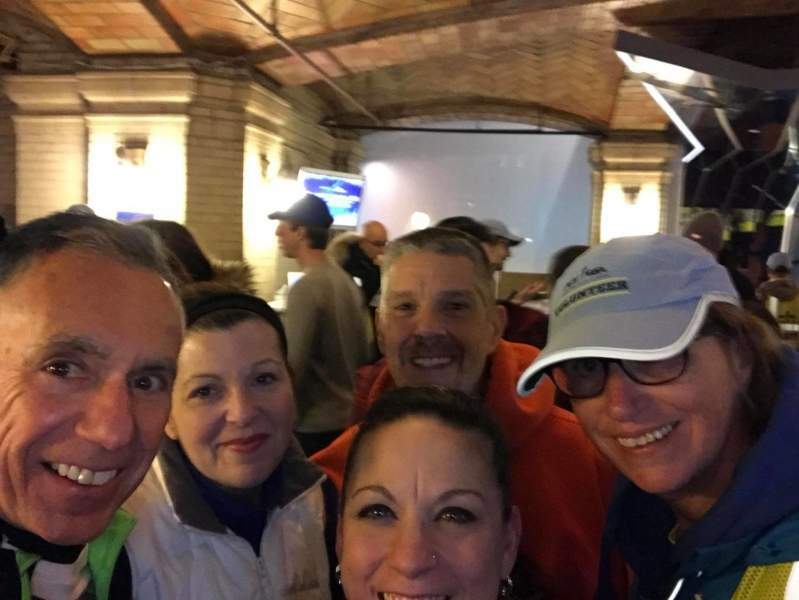 “Once again the staff at the park, particularly Cheesequake State Park Superintendent David Donnelly, proved to be helpful and gracious hosts. 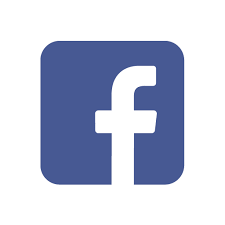 It is always a pleasure working with David and his staff. 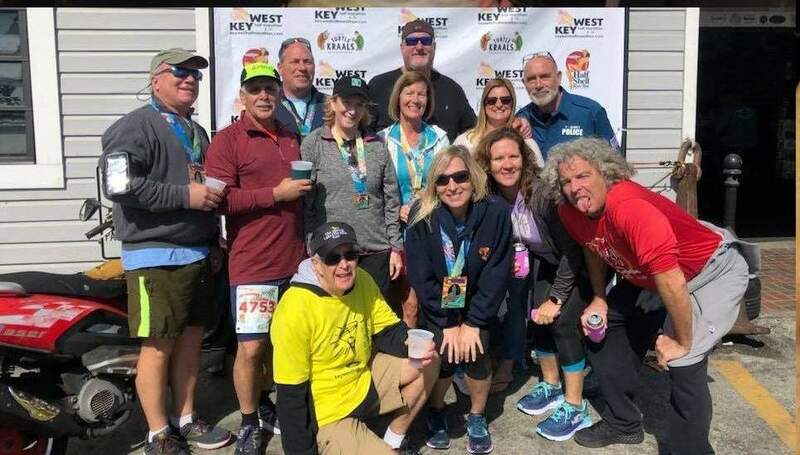 Local rock band Goldenseal gave a spirited performance at the post-race party, held for the 2nd consecutive year at the Park. 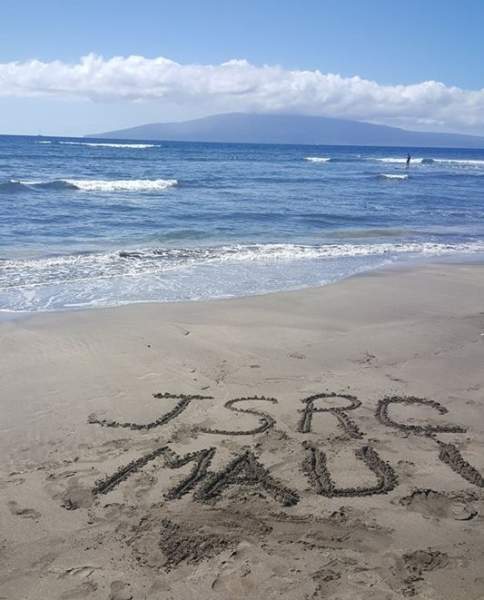 Thanks to all who worked the waterstop which included several local high school students. 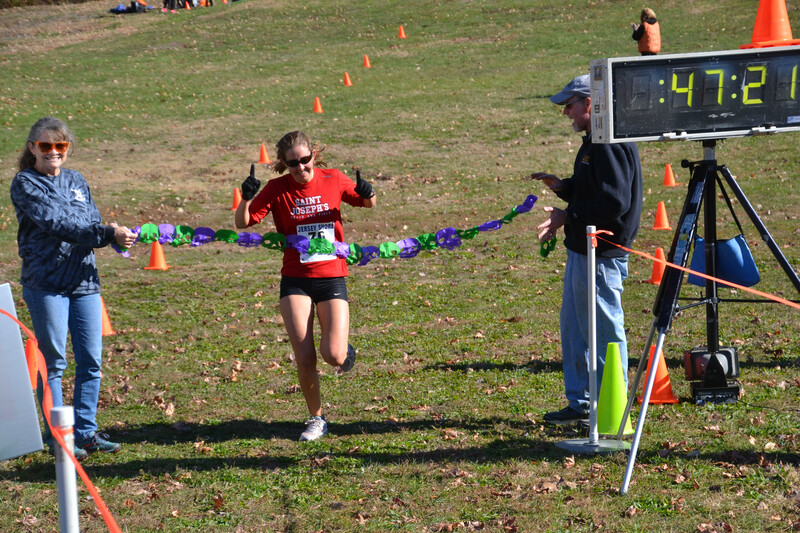 Thanks also go to John Kuhi for the timing clock; to Dave Raczkiewicz, Rick Rossiter and Renee Kotopoulis for the handcrafted cedar slice awards; to Rick Valentine & Renee Kostopolis for the fantastic and very popular long sleeve Tech T-Shirt design; to Atillio’s Pizza for prompt delivery of tasty pizzas; to the entire Hashathon Race committee for enduring the months of planning that lead up to this big day and those who gave up most of their weekend to ensure that this race goes off without a hitch," said Mark Griggs in an E-mail summary. 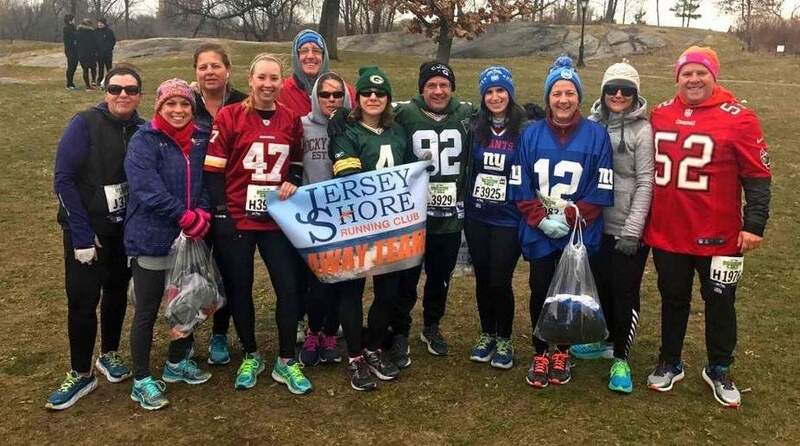 "We hope to see all of you back at Cheesequake State Park again next year for the 38th event." 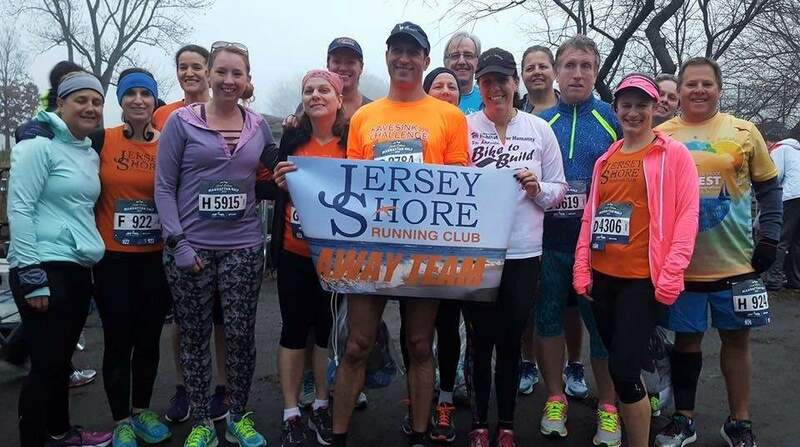 Road-racing events continue and their schedules can be found on these websites: www.jsrc.org and www.farcnj.com.